He taught himself to play guitar at age 13 by listening to country and western singers on the radio. At 27, he wrote the song “Runaway,” he recorded it on 21 January 1961, and by 1 April, it was a number 1 US hit. It was also a UK number 1 hit, pipped only by Elvis Presley as the best-selling single of 1961 in the UK. After his initial success, musical tastes changed and Shannon’s career declined in America, although he still enjoyed success as an artist and performer in England. By 1990, he was well on his way to making a comeback. Unlike many other performers, Shannon organised all of the scheduling of his shows himself, a stressful task considering he was planning a European tour. To handle the stress, he was referred to a psychiatrist who prescribed an antidepressant, which is known to cause suicidal tendencies. The world needs its artists. 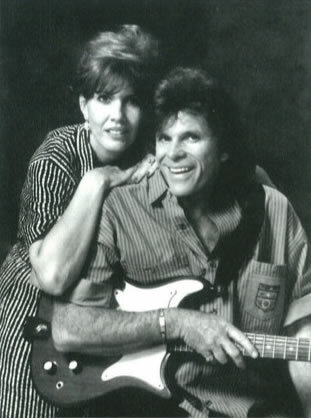 Del Shannon’s suicide could have been prevented. Yet 27 years on, similar tragedies continue because of ignorance about the methods, means and motivations of psychiatry and psychology. The artist can be a powerful and greatly beneficial influence on society. Society in turn needs to take care of its artists. Posted in Latest News and tagged Del Shannon, psychiatry, Psychiatry Ruins Creativity, suicide.